Lonesome Lily turned Scandalous Siren Miss Lillian Harwood has lived much of her life alone in a gilded cage, longing for love and companionship. When an artist offers her pretty promises and begs her to pose for a scandalous portrait, Lily doesn't hesitate . . . until the lying libertine leaves her in disgrace. With the painting now public, Lily has no choice but to turn to the one man who might save her from ruin. Highland Devil turned Halfhearted Duke The Duke of Warnick loathes all things English, none more so than the aristocracy. It does not matter that the imposing Scotsman has inherited one of the most venerable dukedoms in Britain - he wants nothing to do with it, especially when he discovers that the unwanted title comes with a troublesome ward, one who is far too old and far too beautiful to be his problem. Tartan Comes to Town Warnick arrives in London with a single goal: get the chit married and see her become someone else's problem, then return to a normal, quiet life in Scotland. 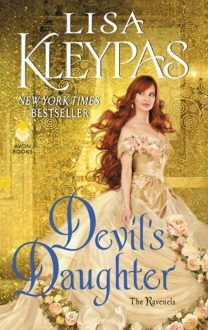 It's the perfect plan, until Lily declares she'll only marry for love . . . and the Scot finds that there is one thing in England he likes far too much . . .
Alec, the very reluctant Scottish Duke of Warnick doesn’t care much for his title or England’s society. Realising that not only did he inherit a title but he has also inherited a ward was a shock as well finding out that he had to go save her from scandal to England. Alec’s childhood and later years at England has deeply affected who is as a person today. He feels very unworthy of love espeically from one such as the beautiful Lily. Miss Lillian Hargrove believing herself to be in love made a decision that is now the cause of scandal. Said to be one of the most beautiful woman in England, Lillian was envied by others but is ashamed. All her life Lily has been alone which is why the promise of love had such an allure but now the betrayal has left her feeling her urge to flee. Except the Duke doesn’t agree and is hell bent on saving her by marrying her off. It certainly doesn’t help that she feel attracted to him. The writing was as always engaging as well the Talbot sisters, being their scandalous selfs. There were some funny moments as well the banter between Alec and Lily which was enjoyable and the plot was entertaining hence my rating. I mean Sarah MacLean had write some pretty amazing romantic lines. Also because who isn’t a fan of the heroine saving herself. View Spoiler »Maybe if the timeline had been a bit longer than ten days, giving the protagonists a chance to get to know each other better I would have liked it but alas it felt all to fast from lust to love because they weren’t together for those 10 days either so sigh. Nevertheless I am still looking forward to the next one in the series which I hope would be better than this, it will be Sera’s story. The plot of that is already very angsty and I can’t abide cheating heroes though Sarah MacLean hasn’t written any of those but I’m still quite nervous about. 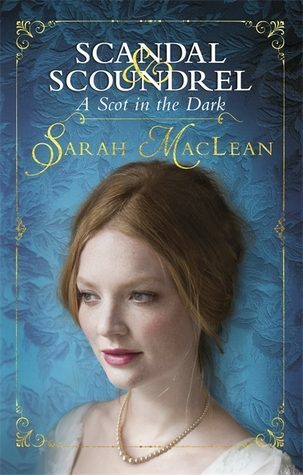 Sarah MacLean grew up in Rhode Island, obsessed with historical romance and bemoaning the fact that she was born far too late for her own season. Her love of all things historical helped to earn her degrees from Smith College and Harvard University before she finally set pen to paper and wrote her first book.